Cleveland State University Library News Topic: ATTN: CSU Students! 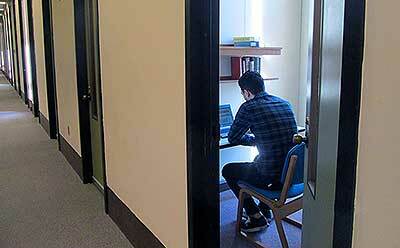 Enter to Win the Use of a Study Carrel for 6 Months. ATTN: CSU Students! Enter to Win the Use of a Study Carrel for 6 Months. We want to know what you think. Visit the Voting Booth on the 1st floor of the Library and answer three quick questions and you will be entered to win the use of a Library Study Carrel for six months. Posted 2017-11-14 15:27:23 by Lauren_Felder.